Welcome to OutdoorJAC, the perfect place to discover outdoor adventure jobs, seasonal work placements and qualification based training courses in the outdoor leisure industry. We work closely with hundreds of companies to bring you the freshest and most exciting opportunities each season. So whether you are looking to take a professional instructor course that will help boost your career, find paid work regardless of previous experience, or simply volunteer your time on a large number of exciting and rewarding gap and working holiday projects, we can help you along. Starting soon after Easter each year, winter sports companies begin recruiting for seasonal staff to work in the mountains. 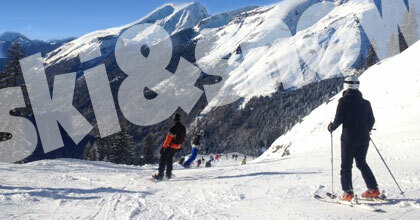 Check out all the latest vacancies, plus the latest snowsports training courses in Europe and beyond. Manage a chalet, serve pints of ale behind a bar, or teach people how to enjoy skiing. 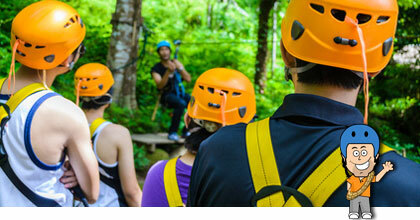 Outdoor Adventure Jobs for all! The outdoor adventure industry attracts seasonal instructors looking to make money before starting university, gain some useful qualifications, and generally have a great time in the fresh air. We have NGB courses and job opportunities to suit everyone from the college leaver to the seasoned professional. Looking to take a career break, or to spend some time travelling before embarking upon the next stage of your life? The following paid work and volunteer courses are offered by companies who have years of experience in delivering affordable and rewarding gap and working holiday projects for all ages. 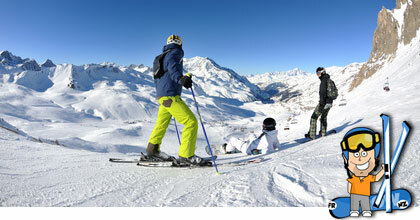 EA Ski and Snowboard share with us a some great news for seasonaires. As base rates increase so too do the bonus and benefit structures offered by employers. Surely the perfect time to take a ski instructor course and work a season in the mountains! Jo Buss at Sail Laser tells us about training as a sailing instructor on the beautiful Lake Garda in Italy. Their RYA courses offer worldwide work opportunities in a location that all but guarantees perfect conditions for your course tuition. Find out more about this excellent courses. During my Asian Adventure I was able to discover Thailand, Laos and Cambodia through experiencing exciting excursions, visiting historical heritage sites, and exploring the entertaining nightlife! Booking with a specialist tour opertator provides the perfect combination of an excellent itinerary, free time, and of course the chance to travel with great people! Because we work with the leading companies in outdoor adventure, we can increase your chances of finding the perfect adventure job by getting your CV in front of the right people. If you have good previous experience and relevant outdoor instructor qualifications then we would love to hear from you. Sign up for our newsletter and be first to hear about the hottest new jobs, training courses and projects from the outdoor adventure industry! Connect with us on social media to get updates the minute we post new content. Sharing new outdoor jobs, skills courses and industry articles on places like twitter, facebook and google plus allows us to reach a much wider audience and allows you to ask us about the roles on offer or for general advice. Click the following buttons to join in! Like any other career, people choose to work in the outdoor adventure industry for a variety of reasons. Some choose this path because they grew up mountain biking or climbing in places like the Peak District or Cairngorms National Parks. Others perhaps because they were able to spend their early years near to the coast and their free time learning to sail dinghies and surfing or windsurfing. Some people's first taste of outdoor adventure jobs is at an activity centre where they stayed on a residential holiday with school friends. Or maybe the choice is simply because they have had enough of the nine to five grind and want to breathe a bit more fresh air on a daily basis. A life long career or a short break from the old routine. The great thing about working outdoors is the flexibility. School leavers or those looking to defer their university course can spend anything up to a year gaining incredible experience that will make their CV shine brighter than those of their peers. While 'grown ups' who already have experience or are qualified in unrelated industries, can still get involved, especially through a gap year or working holiday. Working in an adventurous role does not have to be like becoming an accountant where you need to spend years getting qualified before you can start practicing, even people with little or no previous experience of teaching outdoors can get on the job training and begin instructing in a matter of weeks. A word of warning though - you'd be surprised how many people we have spoken to who planned a year working outdoors before work or university, only to find that they were completely hooked on instructing and could not see themselves doing anything else! If you already know that you would like to work towards a long term career in adventure, you will likely start to look at gaining what are generally known as National Governing Body awards for activity instructors, or International Ski Instructors Association certificates for snowsports instructors. Think of them like the badges you could collect in Scouts and Guides, except they are slightly more difficult to get and you don't have to sew them to your sleeve. You will find it is perfectly possible to earn good money in the outdoor adventure industry, especially with specialist jobs like scuba diving or heli ski guide. The level of competition for vacancies will diminish and the wages will increase when you get towards the top of the ladder and start applying for roles like activity centre or resort manager, for which you can expect to earn above the national average. However, for the majority of outdoor instructor jobs, you will find the wages are not going to make you independently wealthy. We had a call just yesterday from someone trying to get a last minute work at a ski chalet, and when we told him how much he could earn with one particular company he just shrugged it off, saying, "I'm not going there to earn money: it's a ski season!" Awesome attitude. 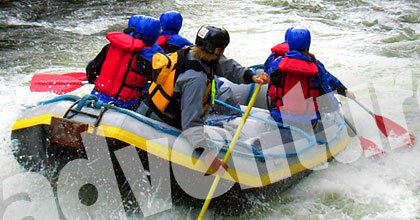 You choose an outdoor job in adventure for the love of the lifestyle as much as for the financial reward. 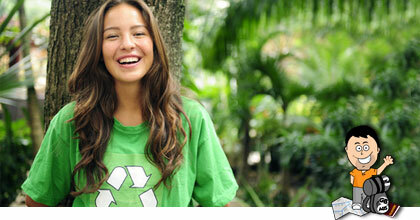 A gap year is a great way to work outdoors, and to gain valuable skills in areas like teaching and child care. Instructing outdoor activities, where you will more often than not be working with children or young adults, is therefore a perfect match. We do find that many of the applications we receive from outdoor workers include details of the inspiring and often life-changing gap projects that they have been on. We really cannot recommend gap years highly enough, and the options for adventure are virtually unlimited! It is perfectly possible to earn money during your gap year, with some companies offering remuneration in exchange for your time. But the majority of vacancies you will find are looking for volunteers - people who are willing to offer up their time for little or no reward, traveling instead for the experience and happy knowing that they have made a real difference to someone else's life. Take a look through the gap year section of our site to find plenty of great outdoor experiences that will enhance your CV.